Holy Claptastic Claptopian Clapping, Claptrap. It seems that the latest piece of DLC for Borderlands: The Pre-Sequel will allow you to delve into the very workings of what makes Claptrap tick (and waffle on endlessly). As well as some extra campaign content, the new DLC will also increase the game's cap level to 70. The fourth piece of DLC is entitled Claptastic Voyage and is due out on PC, 360 and PS3 March 24th, but will also be included in the Borderlands: The Handsome Collection, due out on the same day for One and PS4. Handsome Jack has found something ludicrously powerful within Claptrap’s mind. Never one to turn down a chance for more power, Handsome Jack digitizes the Vault Hunters and sends them inside! Their goal is simple: find the mysterious “H-Source” code and get out of Claptrap’s consciousness without going completely insane. These anti-heroes will have to deal with Claptrap’s personal insecurities, his malware, and digital representations of his crushing loneliness. Alongside the DLC, the pack also includes Ultimate Vault Hunter Upgrade Pack 2, which basically increases the cap level to 70 providing you with ten more skill points to spend and enhance your character. 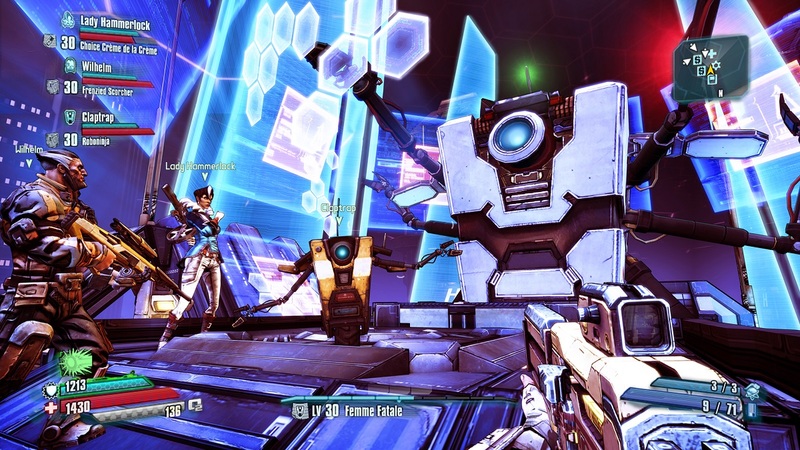 Both The Pre-Sequel and Handsome Collection have 2 player local co-op and 4 player online co-op. A complete pack will certainly be worth picking up if you missed it on the last generation as we gave the Pre-Sequel 5 out of 5 in our Co-Optimus review.